This is the end of second guessing. This is saying goodbye to more than twenty years of uncertainty and being afraid. This is Jacque’s triumph. It’s before sunset on a Friday evening. The wind is strong enough to slow a runner’s pace. But time isn’t a factor for Jacque Ary. The clock doesn’t measure her ability, her will power does. For more than 20 years, Jacque’s weight held her from living a life she dreamt of. “Stairs scared me. It was that moment that I knew I had to change something.“ And ‘something’ did change. Jacque entered the H-E-B Slim Down Showdown. On this day, Jacque is walking with her head held high. Not snobby or arrogant but proud and inspirational. And she has every right to be proud. 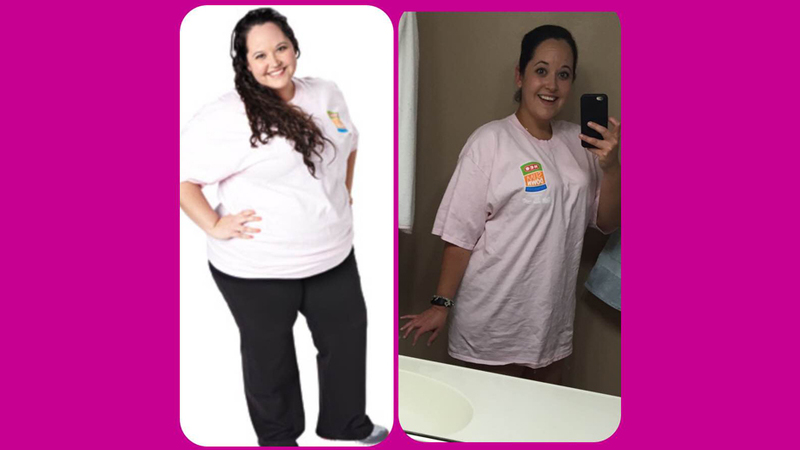 She’s lost a total of 73 pounds in roughly a year and 3 months. That means pant sizes. Jacque says she never wore jeans. Every bottom she owned until she was 16-years-old had an elastic waistband. She’s wearing yoga pants and with a smile from ear to ear holds a pair of her “motivation jeans”. Jeans she’ll never wear again. Those 73 pounds squeezed into a size 22w and now Jacque is a size 14. Not for long though. She’s already working her way down to a 12. As we chat with Jacque, often she holds back tears and has a small quiver in her words. She’s incredibly humble over her success. With tears in her eyes, Jacque says her family has been there every step of the way. And they’ll have to be. “I’m going to push myself to finish the full marathon.” she said with a smile. We wish Jacque and all runners success. Join Jacque and thousands more for the South Padre Island November 12th 2016.